The most unexpectedly batsh*t moments in otherwise ordinary comics. 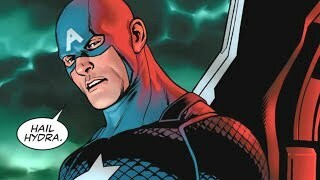 The current Secret Empire storyline extending throughout Marvel’s comics line has a lot of people up in arms, incensed over the portrayal of a fascist Captain America as the Supreme Leader of Hydra. 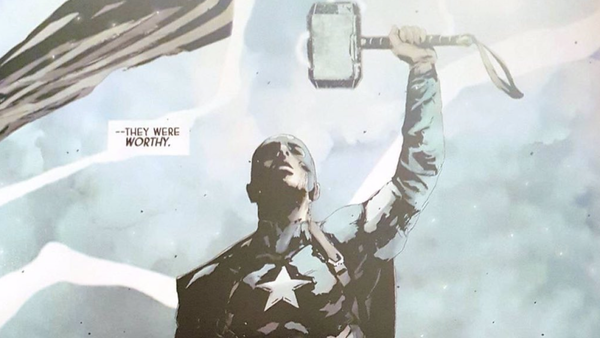 However, it’s not exactly the first time that mainstream comics has unexpectedly done something truly weird with a tried and tested character or formula. ‘Weird’, of course, doesn’t always have to mean terrible. Some of the greatest stories of all time have come from approaching a familiar subject with a fresh eye and some lateral thinking. And then of course, there’s the insanity that comes with stories so poorly judged or badly conceived that ‘dumpster fire’ is probably the only appropriate way of describing them. To qualify, of course, you’d have to discard the creators and concepts which start out weirder than seaweed chopsticks - which excludes the worst excesses of Mark Millar and Garth Ennis, the best work of Grant Morrison and Peter Milligan, anything from Ultimate Marvel or the pen of Robert Kirkman, and all of the clownshoe crap that happens to Deadpool and Lobo every other week.